Max de Radiguès, Wauter Mannaert, Weegee: Serial Photographer (Conundrum, 2018). $18, pb. 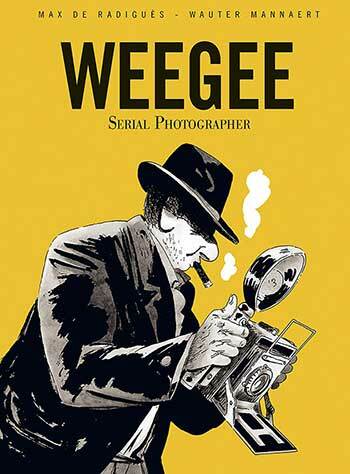 Instead of attempting to tell the story of Weegee’s life from his childhood immigration to the U.S. through his final years in Hollywood and Europe, de Radiguès and Mannaert choose to focus on a slice of the life: his final years working the streets of the lower east side as a crime photographer to the beginning of his late career to Los Angeles. The focus here, however, is not on the life or even the career, but on the desires and demons that drove this twisted, manipulative man—demons and desires that also made of him a visionary photographer. The man we get to know here is not likable or admirable: he hides in the shadows of dressing rooms to photograph showgirls, rearranges corpses at crime scenes to tell the story he wants to see printed, and exploits his fellow immigrants in his relentless pursuit of fame. But if de Radiguès and Mannaert make certain that the inevitable identification with the biographical subject is an uncomfortable one—and perhaps, for our social media generation, uncomfortably familiar as well—they do allow us to acknowledge the loss of something authentic, rooted that once existed in the man now known to the world as Weegee. We see this loss in the eyes of those who have known him the longest, like his childhood friend, Rita, and even briefly articulated by Weegee himself when he considers the life he abandoned when he gave up the violin for endless nights on the streets in pursuit of the next corpse. By the time we get to know him here in Weegee: Serial Photographer, however, that man is long gone and the passions that once moved him—family, lasagna, music—have become unreal, replaced by the lure of fame and the image. Unlike many comics biographies, Weegee: Serial Photographer trusts in the medium to tell the story, letting the images do the work without the reams of text that often defines the genre. There are some virtuosic wordless sequences here, including the one that concludes the book: Weegee, returning home from a Hollywood party, stumbles on a man—drunk? dead?—in front of Grauman’s Chinese Theater, and decorates him with his own hat and the champagne bottle from which he had been drinking before taking the picture. 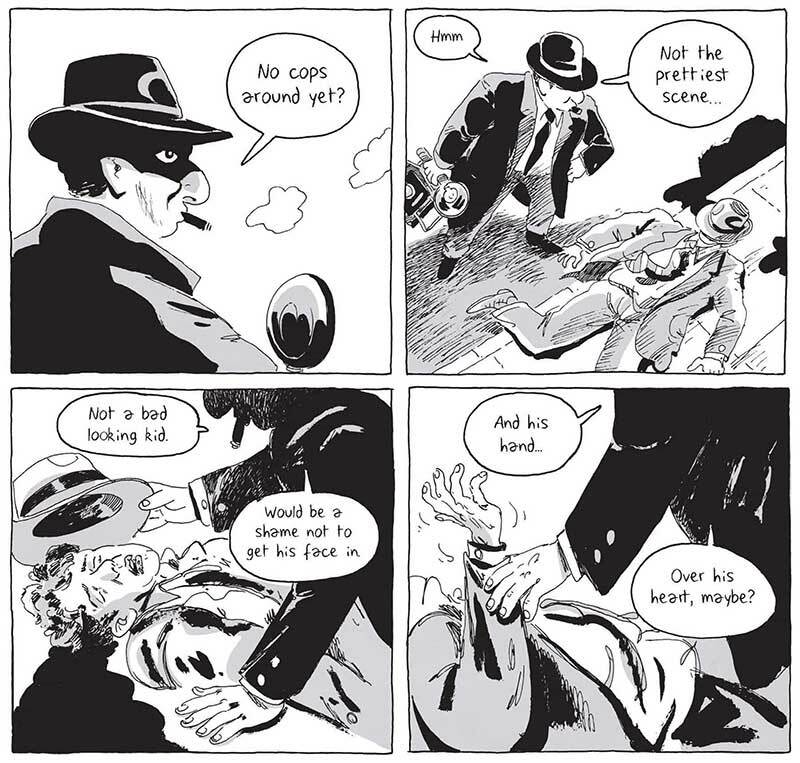 For Weegee, the image tells the story (whether a “true” story was besides the point), and this comics biography puts its faith in the image as well—albeit to tell a very different kind of story than Weegee himself was ever keen to tell. Weegee’s stories about himself were about the myths that had gathered around him and about his sense of what it was he deserved from the world. Weegee: Serial Photographer tells the story of a man who helped make the image central in all our lives—and about the price he paid, and which we all are still paying today.